This entry was posted in Industry and tagged inventory, inventory management, product distribution, product storage, retail fulfillment, third-party fulfillment on November 5, 2017 by Anastasiia Myronets. If you’re just starting off with your own e-commerce business, then you’re most likely to choose either the drop shipping or self-management retail fulfillment method. But if your business is growing quickly, it would be better to hire a third-party logistics company that will manage your inventory and warehousing processes. Lack of time on business promotion. If you spend the most of your time fulfilling orders, but have no time on marketing efforts, outsourcing will be the best solution here. Not enough infrastructure. If your business is growing too fast, it may outgrow your current infrastructure, so handing it over to a third party may help. Irregular sales. You may have the best sales levels in winter but almost no sales in summer. 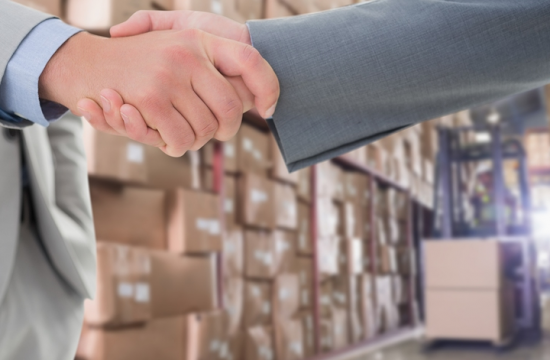 If you’re managing your warehouse on your own, you may suffer financial loss, whereas a third-party logistics provider will handle this issue for you. Good for businesses that grow quickly. While an outsourced company will handle your order fulfillment and inventory management processes, you may focus on more important tasks. No effort on staff search and management. A third-party company will be fully responsible for hiring and managing the warehouse staff. Cost-efficiency. For startups, it’s typically cheaper to self-manage their fulfillment or use drop shipping. However, for a growing business with growing cash flow it would more cost-efficient to outsource the fulfillment processes. Not good for highly specialized businesses. If your company has unique specialized needs, e.g. you need special equipment to fulfill highly customized orders, then it would be easier to manage the fulfillment on your own. Less control over inventory. If you manage your own warehouse, you can use inventory management software to manage all your logistic processes. When outsourcing, you won’t be able to do so, and will depend on data provided by your 3pl partner. This entry was posted in Industry and tagged drop shipping, ecommerce, inventory management, product distribution, product storage, retail fulfillment on October 13, 2017 by Anastasiia Myronets. 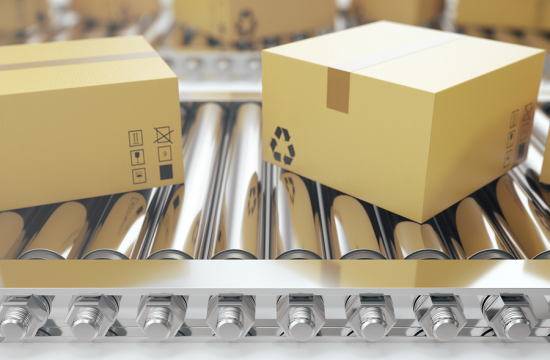 Recently we’ve discussed the retail order fulfillment methods, which help to manage the product storage and distribution processes in e-commerce. Now we’re going to explain each of these methods in a series of articles. 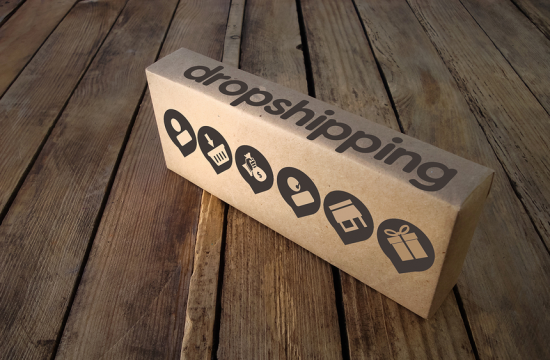 In this article, we’ll discuss the pros and cons of drop shipping. So how drop shipping works? Unlike traditional retail models, merchants who use drop shipping actually don’t keep a stock of purchased inventory items. Instead, they order the products from the supplier’s warehouse or distribution center to send them directly to the customer. Let’s see how merchants can benefit from drop shipping and, on the contrary, what can make drop shipping less attractive for them. Good for startups. If you’re just starting off with your business, then drop shipping will be a perfect solution for you. As you order and sell not many items, you don’t need complex inventory management processes at this stage. Besides, you’ll need a lower initial investment. Low costs. With drop shipping, you don’t have to pay for a warehouse and warehouse management procedures. Many successful “drop shippers” run their businesses literally from home. Flexibilty. You won’t have to do a routine work of processing additional orders, because the suppliers will do it for you. Extra shipping costs. Drop shipping involves work with multiple suppliers, and this can bring more pain when it comes to shipping costs. If, for example, items in one order are shipped by several suppliers, shipping costs will increase. Low profit margins. Unfortunately, drop shipping is a highly competitive method. Many beginner businesses choose it as a quick way to make a profit and thus set very low prices, so the customers could prefer their prices over yours. Inventory issues. As your business will grow, you will face more and more inventory issues, such as inability to track the daily changes in your drop-shipper’s inventory availability. So sooner or later you’ll have to choose another retail fulfillment model. To summarize, drop shipping isn’t perfect, but it works in certain cases and for certain types of businesses. Still, having the right inventory management tools at hand will help you to manage your inventory quickly and seamlessly, whether you manage your own inventory or you are a drop-shipper yourself. This entry was posted in Industry and tagged drop shipping, inventory, inventory management, product distribution, product storage, retail fulfillment on October 9, 2017 by Anastasiia Myronets. Drop shipping. This method significantly shortens the journey of a product from a warehouse or distribution/fulfillment center to a customer. What is the secret of drop shipping efficiency? Actually, drop-shipping companies never keep their products in stock. Instead, they purchase the products from a supplier and then have them shipped directly to the customer. In other words, customers receive products right from the supplier’s warehouse or distribution center. Self-management. Unlike drop shipping, the self-management method requires that, after a purchase from a supplier, the merchant should keep the products in their warehouse and manage the inventory of these products. Such inventory management processes include counting, tracking, issuing, receiving, packing and shipping of the products, often with the help of specialized inventory management software. Third-party fulfillment services. The first two methods work great when you’re just starting off with your business. But when your company has grown to an extent when it becomes hard to manage the flow of products that you sell, hiring a third party could help a lot. How does it work? You find a logistics company that will store your products and manage the packing and shipping as well as other inventory processes. No matter which method you’d prefer, proper inventory management is crucial for any business. With Delivrd inventory management software, you can process your orders and inventory operations in a quick, efficient, and hassle-free way.